Lost/stolen on or around 107th Ave Lower Buckeye around 8:00am. 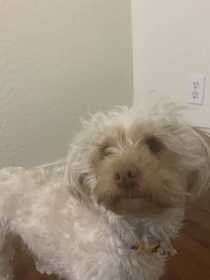 If you have any information or have seen her, please contact me at+16236929034 Her name is Bae, beige white Maltipoo with hazel eyes. Female around 7lbs.